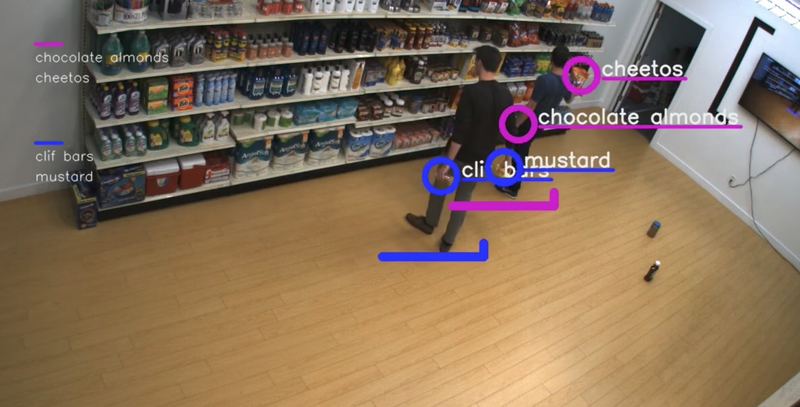 Standard Cognition in action identifying 4 unique items in the hands of two different shoppers using realtime computer vision. See the full video here. Standard Cognition is building the retail experience of the future, where you just walk out to pay for whatever you’re carrying out of a store. It’s seamless, checkout-less shopping for consumers and retailers all over the country. We’re proud to announce that we just joined Charles River Ventures and Y Combinator in backing the company through an initial $5 million round. In their first proof of concept, they use cameras to identify who walks in, what goods they’re carrying and what they ultimately purchase. All of these processes are handled on-site at the local store using computer vision techniques Standard Cognition is developing. The most interesting innovations happen when technology cost curves hit magic levels where they become possible in new packages for the first time. Realtime computer vision with off-the-shelf GPUs has just reached that level now, and we are excited that this team is bringing it to reality today. The team has not only founded a company together before, it has three PhDs in mathematics and nuclear science and its CEO Jordan Fisher led a team at the Securities and Exchange Commission developing quantitative tools that could make sense of the agency’s data. For retailers, this will lead to reduced prices, no lines, better stocked shelves and fewer misplaced items. Every year, retailers lose $45 billion to theft, so even before the holy grail of checkout-without-lines, Standard Cognition can make a huge dent in anti-theft in a way existing solutions have only dreamed. Technology cost curves unlocking new capability is only half of it. To bring amazing tech to market, you also have to have a strong business motivation to do it, and frankly we’re there today. Traditional American retailers face an oncoming crisis as e-commerce continues to take mindshare and revenue directly from brick-and-mortar retail. Standard Cognition is such a powerfully better customer experience that this is the kind of thing that goes from cool to must-have in very short order.